Cats Of The World: Cats of The World’ Photo Exhibition pounces back for the fifth time! Cats of The World’ Photo Exhibition pounces back for the fifth time! 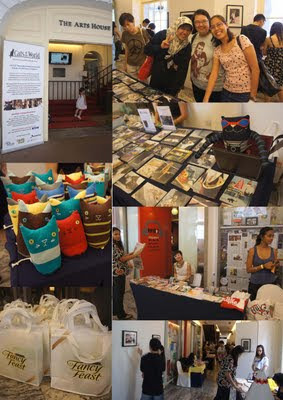 Our very first Saturday Purrzaar Market on 4, 18 and 25 June 2011 was a smashing success! The crowd trickled in slowly but surely and kept streaming in all day. From what we gathered, everyone loved the photo exhibition, postcards and cat-theme quality crafts from the talented local artists. Cat Welfare Society had as much fun as we did too. Plus we sold most of our postcards and Snapper the glamour cat was also sold for S$99. In total, $3,500 was raised from the exhibition/ purrzaar. So a big thank you to everyone! It's also great news to see that MND is urging AVA and Town Council to review their cat culling policies of late. Let the killing stop and loving begin. We are so excited we sent an invitation to Minister Khaw and Tan to come to our next Purrzaar to see how many cat lovers there are in Spore. ‘Cats of The World’ Photo Exhibition is back for the fifth year running! 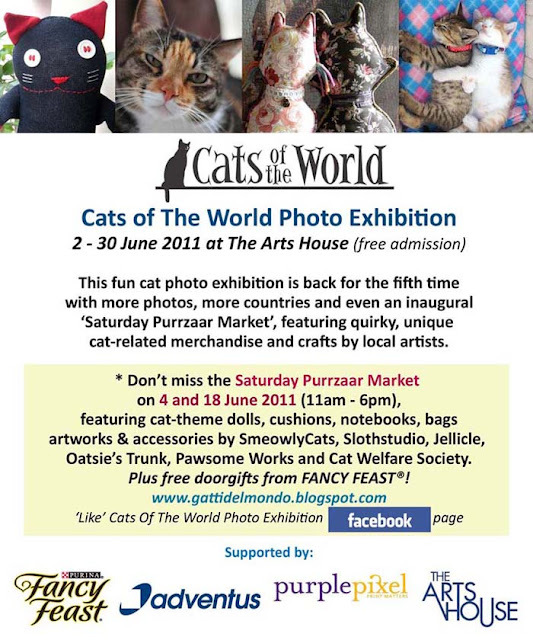 This year the exhibition celebrates its fifth anniversary with a month-long exhibition from 2 to 30 June 2011 at The Arts House, as well as the inaugural Saturday ‘Purrzaar’ that will offer quirky, unique cat-related merchandise and crafts by local artists as well as a booth by Cat Welfare Society. 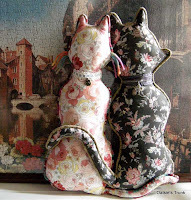 This cat-themed flea market happens on three Saturdays in June – 4, 18 and 25 June (from 11am to 6pm) and is a great way for one and all to have fun and purchase a feline keepsake! The non-profit exhibition features 50 photos from 27 aspiring and professional photographers from all walks of life, to share the joys of our feline friends and that cats all over the world are the same - lovable and purrrrfect! This year’s snapshots of cats capture them in their element – graceful, lazy, sneaky, aloof, loving etc, in unique settings and backdrops around the world, including Singapore, Jordan, Japan, Taiwan, Indonesia, Thailand, Scotland, UK, Greece, Italy, Turkey and Nepal. Photographing cats is an art and takes a lot of patience and luck, so this exhibition showcases the fun and often spontaneous works of photography enthusiasts and cat lovers. Held within the ground floor of The Arts House, this unique feline-theme market features cat-themed merchandise including postcards, handmade dolls, cushions, notebooks, books and artwork by a range of local artists with a love for cats. Cash only. • Cats of the World organisers are selling the cat photos and postcards that are miniature copies of the quirky cat pictures on exhibit this year. 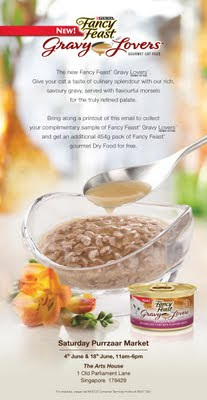 FANCY FEAST® is giving away lots of free door gifts at the Saturday Purrzaar Market on 4 and 18 June. Bring a print out of the emailer below to redeem the gift sets and treat your cats to their new products! 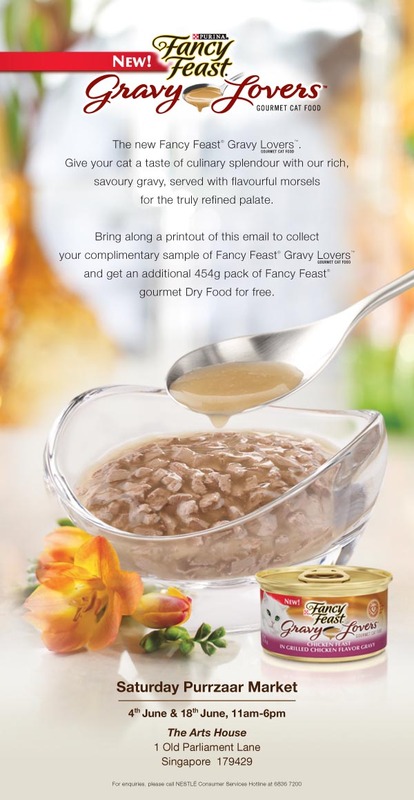 FANCY FEAST® - How do I love thee? Express your love differently each day with FANCY FEAST® selection of succulent varieties in six enticing textures, designed to delight the cats with even the most discerning of taste buds. All because your feline friend deserves nothing less! 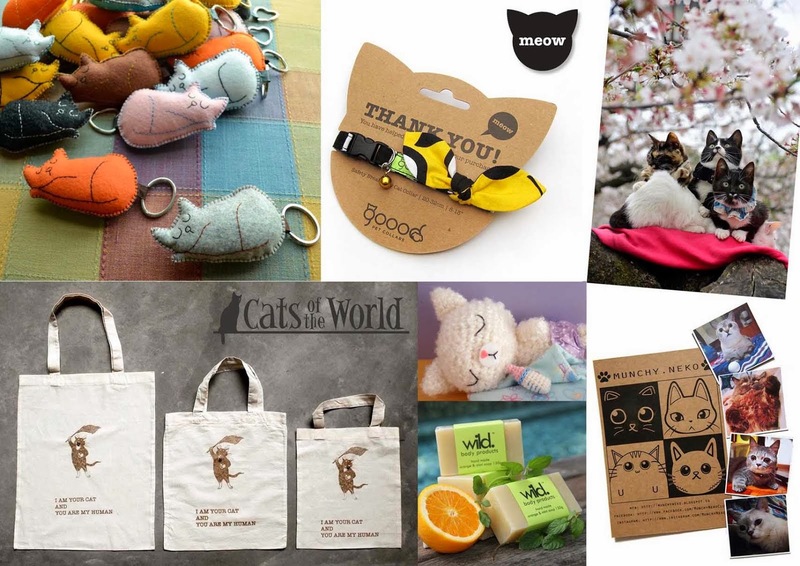 • Cat Welfare Society is selling their merchandise such as the popular It’s Up to Me tee shirts and Love is Action, Sterilisation is love (in Mandarin) bags. Also popular are the ‘Our Kuching – Our Vanishing Street Cats of Singapore’ and ‘The Real Singapore Cats’ book titles. Other merchandise includes the irresistible Jetoy collection, Leonistar cat photo bags and catnip eyeballs for the kitties! • SmeowlyCats features one-off handmade dolls, mainly of cats, which are inspired by the owner's love of cats and their quirky antics. 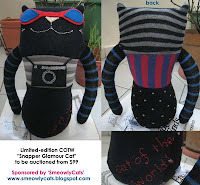 Every SmeowlyCat doll is unique and lovingly stitched by local designer WahWah Leong. Each doll is creatively fashioned using materials such as socks, cotton, jersey, corduroy, terry cloth, ribbons and buttons in different vibrant colours and patterns. They can even be tailor-made and designed according to the customers' preferences (animals, colours, personalised with names, etc) Prices start from S$59 for a small doll. WahWah constantly seeks inspiration from her ailing 15-year old kitty named Ryu, as well as the legion of furry stuffed animals in her cosy loft. 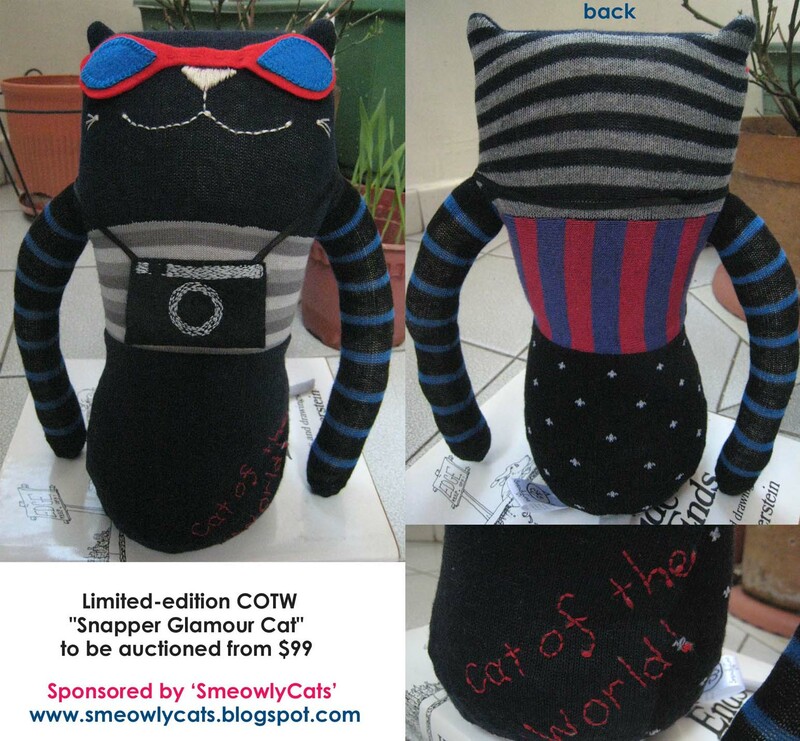 **SmeowlyCats has also kindly customised a limited-edition Cats Of The World "Snapper Glamour Cat" which is sold at S$99 to Deon Kwong and proceeds go to Cat Welfare Society. • Jellicle is inspired by one of T.S Eliot's poems in his famous Old Possum's book of practical cats. Expect a series of whimsically and elegantly-designed tote bags that celebrate the amazing attributes of cats through famous literary cat quotes such as "I Purr Therefore I Am" Priced at S$12. • Pawsome Works offers little handmade items all about cats ranging from catnip toys to pamper your feline friends and jewellery such as necklaces and rings (made from scrabble tiles) for yourself! Also, don’t miss the imported tote bags and pouches with sewn-on cat silhouttes. Prices start from S$5. • A Curious Teepee has these adorable cat cardboard teepees from Canada at S$59.90 each and it comes with 6 different native American Indian ornaments like tomahawk, eagle, dream-catcher, a banner to write your cat's name and three playing balls. Made of recycled cardboard, the teepee does not need any glue and is easy to assemble. Dimensions: 22 X 22 X 26 inch, door opening 9.5 inch (door can be made bigger for bigger cats!) Packaging is flat cardboard box. Since it started in 2007, this endearing community project has garnered a following among cat lovers, photographers, travellers as well as families with children. The exhibition has also received good coverage and support from different media friends across television, radio, newspapers, magazines and websites. The success of ‘Cats of the World’ goes to all the sponsors, partners, photographers and supporters involved in the project. 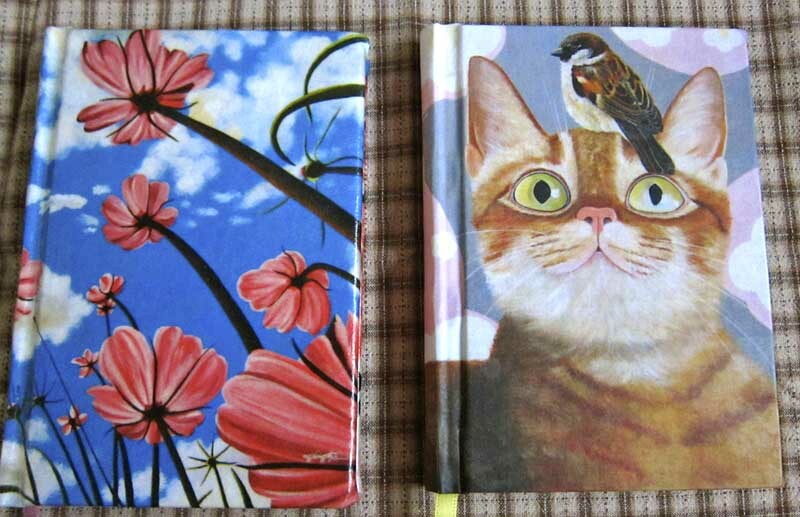 Of course, the real heroes in this community project are the cats – each special in their own ways all over the world. Alexandra Jen Wong has taken part in Cats of The World since it started five years ago, and is currently waiting to enter university. Until that happens, she plans on travelling, making postcards, reading, and spending lots of time with her two dogs and five cats. Anne Young shares her home with one naughty West Highland White Hamish and two cats, Jaime and Lizzie. She loves all animals and has focused her photography on capturing their beauty and contribution to our lives so they are better valued! Ang Pek Boon is a software engineer who runs an IT company with Rob and Erik. Rubber was rescued by Erik from someone who tied a rubber band on her tail. She lost her tail but not her attitude. The company adopted her as an office cat before Pek Boon decided to bring her home. Bella Koh and the Bobsters are a bunch of Tiong Bahru neighbours who have banded together to get Bob well again. From the time this handsome and loving stray cat went missing, through many painful rounds of surgeries and finally being saved by expert surgeon Dr Ly, we share his story to the world. Carlyn Law aka Carla is a PR consultant by day and off duty, she is always on the prowl for good food, green pastures and cats around the globe. As organiser of Cats Of The World, mamma to two cats and a green volunteer, she is thrilled to share her love for cats and wishes more people will give each cat a loving home. Casryn Yap is a graphic designer who loves children and animals. She likes to spend her free time taking photos of flowers, her miniature dolls as well as her naughty little nephew. Chris Pulling is a full-time teacher and part-time photographer who enjoys traveling the world with little more than a camera and a toothbrush. Christ Mong is a full-time weddings and events photographer. In his free time he likes to explore nature, landscape and street photography. Although he doesn't own any cat, he has affection for them since young. Dave Law KH is a semi-professional photographer who enjoys landscape and portraiture photography. He believes in contextual moments and occasionally takes on wedding assignments. Dolphin Lim is an office administrator who loves to snap interesting pictures randomly. She loves photography and always carries a camera with her wherever she goes. She absolutely adores cats because they are natural born models! No matter how cats pose, their expressions and emotions never fail to amuse people. Ejun Low is a portrait photographer and founder of design and branding company, Anamics Creative Group. An advocate for portrait photography as well as an avid animal lover, his love for cats grew as he started befriending the generations of strays that called his neighborhood home. Gail Quek is an uncivil servant who has been accused of travelling just to coo over and annoy foreign cats. This is a baseless allegation because they’re not always annoyed; they’re sometimes royally peeved as only cats can be. In between feline fawnings, Gail enjoys reading, good food and healing with hypnotherapy. 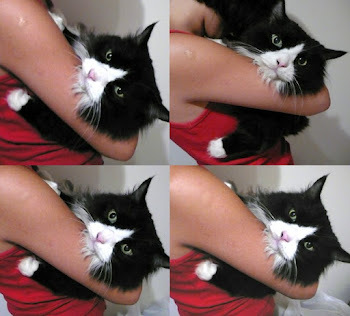 Jassica Lee thinks that cats are the purrfect companion - elegant, graceful and independent. When she's not pretending to be pomelo cat, Jassica enjoys taking snaps of them. Jenny Ng is a writer from Freeflow Productions. She looks like a human and behaves like one. But she’s a cat, really. Joe Tjiam is a graphic consultant who graduated from Lasalle/ RMIT and he loves taking cats with his cameras and simply adores feline’s unique characters. John Tay is a student at Republic Polytechnic. He is an animal lover and always regards his pet as the best companion and listener. Ketan Shah took up photography about six years ago and loves the challenge of photographing stray cats, as they force you to look in places people don't normally look, and to make quick shooting decisions. These are skills that are useful in any type of photography. Koh Mui Fong, TODAY photojournalist and mother of one, enjoys taking photos of stray cats whenever they capture her eyes. Ever since she took a photo of two kittens that really captured her heart, she has not stopped snapping photos of stray cats. Lawrence Liu is a fine art student at the Nanyang Academy of Fine Arts. His passion lies in listening to the aesthetical whisper in all forms of life; discovery is an excitement to him. He believes that a normal person sees a storm, thinks help and runs away but an artist sees that same storm, runs in the other direction. Lee Yan Leong has always enjoyed photography since young. Most of his spare time was spent doing nature photography. Apart from his passion in shooting insects and flowers, he does a lot of cat shots. When he travels, the thing that makes him feel at home is when a cat appears. Cats in whatever country seem oh-so-lovable! Lim Soon Hoe is currently on a break from work and one of his favorite past time is photography. As for cats, he just likes the way they move and laze around - they’ve got style. Lynette Foo runs Palate Sensations Cooking School in Singapore but she is currently in Bangkok undertaking her chef's certification at Le Cordon Bleu Dusit Culinary School. She is a passionate cat lover with six cats. When she is not cooking, you will find her rescuing and feeding stray cats in Bangkok. Lynn Lim is an interior designer who is always hungry for idyllic travels. She also loves good food and hanging out with her bunch, and occasionally longs for more time on her hands to indulge in simply doing nothing. Nicholas Lee is an avid self taught photographer that seems to take better pictures of pets than humans. While more of a dog person, the grace and attitude of cats slowly won him over. Dogs still remain his first love and he would like to keep one someday. Sia Aiwei is an art director and has worked at several advertising agencies for more than 10 years. Her hobby in photography of her five cats accelerated when she created her own brand of designer handmade pet collars and founded PawGlam! in 2010. She enjoys capturing the golden moments of innocent young kittens that she fostered and their interaction with her adult cats. Terence Koh is a freelance designer and illustrator. He enjoys lazing around with his cats, trigger-happy with his camera, and doodling artworks both digitally and traditionally. Zack Wang Zhixiang enjoys all various forms of photography, constantly learning and sharing new techniques keep my passion in photography alive. It is amazing and wonderful what a little camera is capable of, the ability to freeze that special moment and turn it into forever lasting memories.